With the FIBA 3×3 World Tour winners, team Novi Sad and the FIBA 3×3 European Champion, Angel Santana, in the house, Abu Dhabi 3×3 Basketball Tour started with style and with some great games. The boys from the U15 category started the show, but then the more experienced players hit the court and everybody took notice instantly. Abu Dhabi All Star, featuring Angel Santana, and local stars of basketball had a tough first game, against team The One, starring the 2.10 m Muhi Aldeen. Santana took the game in overtime with a desperation two pointer that went in at the buzzer and his teammate Qais Omar finished the job with another two-pointer in the overtime. Team Novi Sad didn’t have any problem in advancing from the pool phase, with two easy victories. 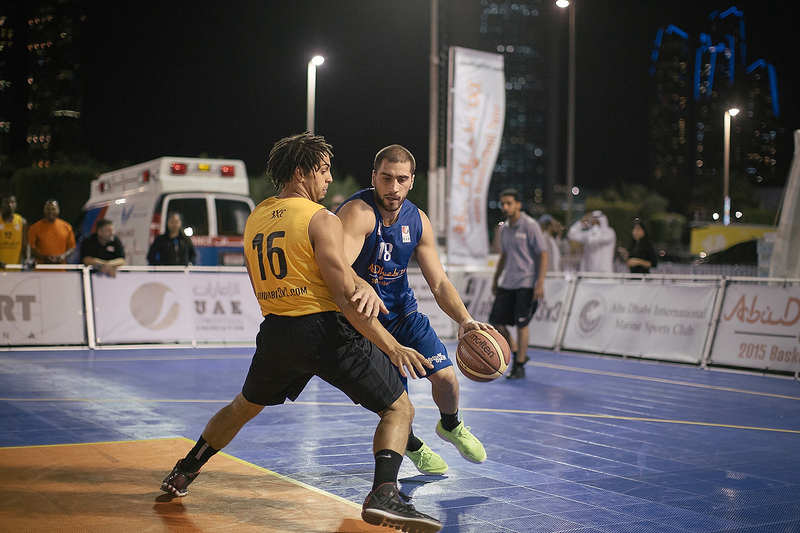 Contests for the players and spectators and side-activities for kids completed a busy evening on the first day of Abu Dhabi 3×3 Basketball Tour. More action to come on Friday.